If it's from a distant time, dilapidated, down-and-out or doomed – we'll be fascinated! Bow River Publishing was formed in 2007 and deals with self-publishing Australian history and culture as well as railway history. Bow River is situated in northern Western Australia, and is immortalised by the Cold Chisel song as well as the property at Ogunbil NSW. 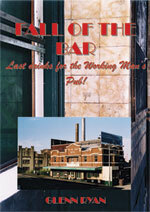 In June 2007 Bow River published Fall of the Bar, a history of many humble working-class pubs in New South Wales. Many of these old watering holes are under threat from redevelopment or have been displaced by a changing society. Bow River's second publication will be End of an Era and is due for release in September 2007. 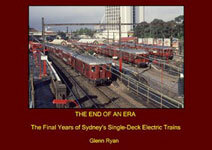 End of an Era is a pictorial record of the the final years of Sydney's famous single deck electric trains. Future releases will be announced on this website. Join our for advice on new publications.